Get the Glow! 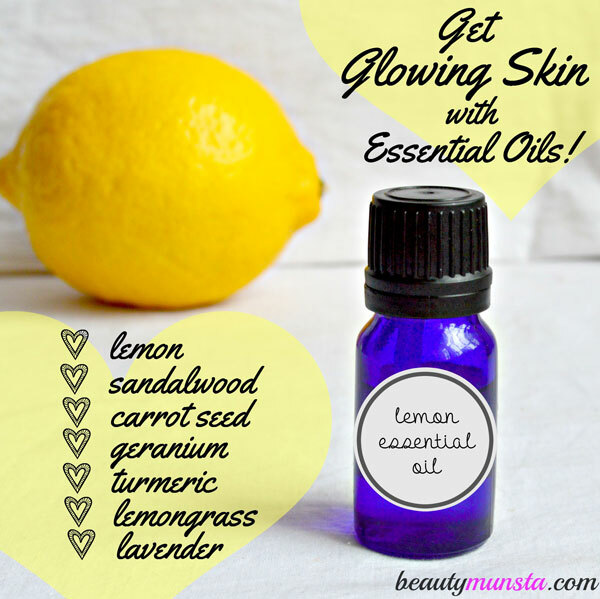 7 Essential Oils for Skin Brightening - beautymunsta - free natural beauty hacks and more! 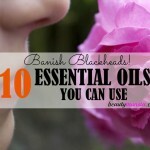 Let’s look at the 7 best essential oils for skin brightening in this post! Dull skin may be caused by a variety of factors including poor diet, not drinking enough water, constipation, sun damage, smoking, alcohol consumption, stress and even lack of proper exfoliation. If you’re a victim of any of these, then try changing your lifestyle and you’re skin will definitely get back its original luster! It doesn’t hurt to drink enough water or add some antioxidant-rich fruit in your diet, does it? I find that doing water therapy really helps keep my system clear of toxins and helps brighten skin complexion. You can read more about it here. Using turmeric face masks or orange peel face masks also help brighten skin from the outside. In a Magic Bullet, add 1/2 cup of soft shea butter, 1 tbsp rose water and 10 drops lemon essential oil. Blend till creamy! Store this night cream in an amber jar and massage all over your clean face and neck at night time. 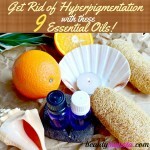 This is among the best treatments for skin brightening, IMO! 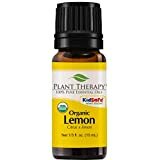 Caution: Lemon essential oil is photosensitive so do not wear it and go out in the sun as it may cause hyperpigmentation. In an amber glass dropper bottle, add 1/4 cup of argan. Next drop in sandalwood oil (5 drops). Close the bottle and roll it between your palms to evenly blend the oils. Apply for natural radiance! 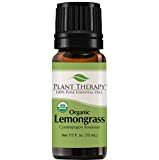 Just like lemon essential oil, lemongrass essential oil also contains limonene which helps lighten and brighten skin. It also has detoxifying properties which clear skin congestion and remove impurities that make skin appear dull. ► Lemongrass Skin Brightener: Mix a few drops of lemon grass essential oil and any other essential oils for skin brightening that blend well with it such as lemon, geranium, lavender, cypress, fennel , clary sage and cedarwood, with a skin lightening carrier oil such as sesame oil and use it on your skin. In a double boiler, melt together ½ cup olive oil, ¼ cup of coconut oil and ¼ cup of beeswax pastilles on medium-low heat. Stir occasionally to help the ingredients melt evenly. Once melted, stir in 2 tbsp of non-nano zinc oxide powder until well mixed. Now let it cool in the refrigerator until partially solidifies (15-10 minutes). When the time is up, add 1 tsp of cranberry seed oil, 1 tsp of vitamin E oil and 1 tsp of red raspberry seed oil. Whip the ingredients with a hand mixer until you get a fluffy whipped cream like texture. Store in amber plastic jars and take one jar to the beach with you! Slather it on after swimming as well! Turmeric root has been used since 4000 years ago and is highly valued for its powerful antioxidant, antiseptic, anti-inflammatory and anti-cancer properties. In Ayurveda, the golden spice is prized and called the all-purpose cleaner because it purifies the body internally and externally. Turmeric essential oil is extracted from the roots of the turmeric plant through steam distillation. It has numerous beauty benefits for skin including brightening and lightening the skin. If turmeric itself has a powerful bleaching effect on skin, imagine what the essential oil of turmeric can do. Don’t miss: Turmeric for Skin Whitening, Lightening &#038; a Golden Glow! ► Moisturizer: Add just a few drops of turmeric essential oil in shea butter. or a carrier oil of your choice and apply it on dull skin to brighten it instantly. 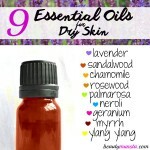 A must-have in every household, lavender essential oil is one of the best essential oils for skin brightening. It is well known for its skin soothing and calming properties which reduce skin reduce and heal inflammation, leaving skin looking healthy and flawless. It also fades dark spots, age spots and discolorations thereby making skin brighter. Geranium essential oil is one of the first essential oils I bought and it’s safe to say that I’m hooked for life! 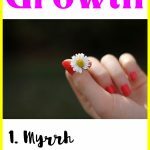 It’s especially good for women because of its hormone-balancing properties and beautiful feminine scent. Geranium essential oil is extracted by steam distillation from geranium flowers, which are native to Africa. Add the aloe vera gel to a bowl followed by the essential oil drops. 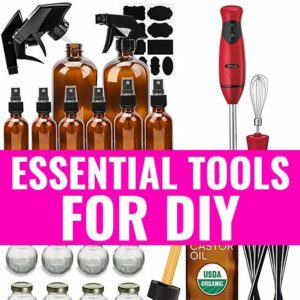 Whisk everything well to create a well combined gel mixture. Transfer into an amber jar for storage. Massage the gel on your face at night time. If you face feels dry after using it, use a tiny piece of your usual moisturizer to moisturize or if you want to go natural, use a pea-sized amount of shea butter. If using an essential oil for the first time, do a patch test. Add 1 drop of essential oil to 1 tsp of carrier oil of choice and apply on your inner elbow. Wait for 1-2 hours to see if you have any negative reaction. If you do, wash the area with warm water and soap. Do not use the oils you tested with on your body. Avoid essential oils during pregnancy and lactation. 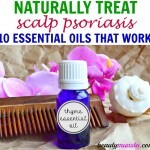 And lastly, always buy 100% pure and high quality essential oils for best results!